January 14, 2013 - United Parcel Service, announced today the European Commission (EC) has informed UPS and TNT Express that it is working on a decision to prohibit the proposed acquisition of TNT Express. UPS submitted an initial remedies proposal on November 29, 2012 and subsequently revised the proposal twice. UPS began the competitive review process with the EC in March 2012. Scott Davis, UPS Chairman and CEO said, "We are extremely disappointed with the EC's position. We proposed significant and tangible remedies designed to address the EC's concerns with the transaction. The combined company would have been transformative for the logistics industry, bringing meaningful benefits to consumers and customers around the world, while supporting growth in Europe in particular." Upon prohibition by the EC, the Offer Condition relating to EU Competition Clearance will not be fulfilled and UPS will pay TNT a termination fee in the amount of EUR 200 million and will withdraw the Offer. Further announcements will be made once the European Commission has issued its formal decision. The decision is expected to be adopted formally in the coming weeks. "I would like to thank TNT Express for their shared vision of the value we would have created for our customers, shareholders, and employees, and for the significant efforts they made over the past year. Looking ahead, our company focus will be on the continued execution of our growth strategy. While we viewed the acquisition as a compelling growth platform, our financial strength allows UPS to capture future opportunities." 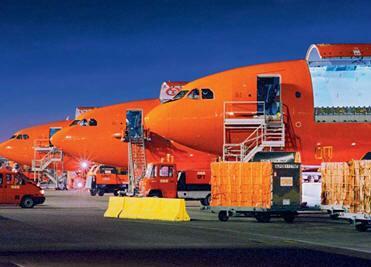 TNT Express N.V. is an international courier delivery services company with headquarters in Hoofddorp, Netherlands. The firm has fully owned operations in 65 countries and delivers documents, parcels and pieces of freight to over 200 countries. The company recorded sales of over €7.2 billion in 2011. On March 19, 2012, United Parcel Service announced its intention to acquire TNT Express for USD 6.7B. On September 5, 2012, UPS released a press release stating that the TNT Express acquisition is expected to be completed in early 2013.